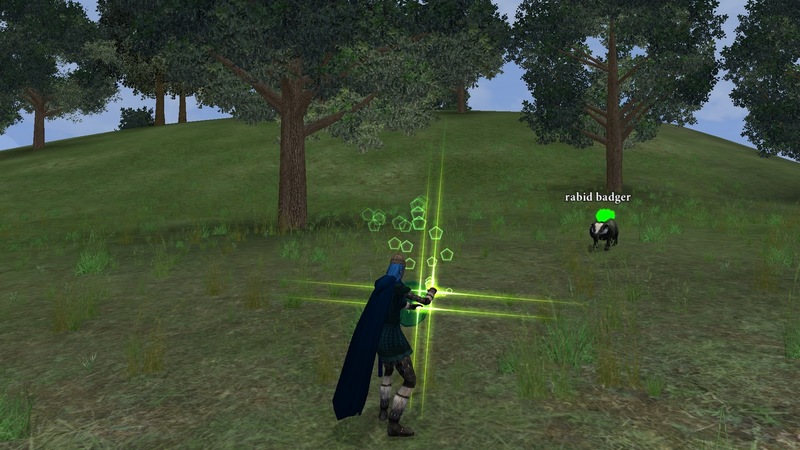 Are you looking for a new, fresh MMO experience? Are you looking for a game with some very fun and unique PvP? Are you looking for one of the best MMO’s ever made? Well you’re in the right place cause I’m going to tell you, give Dark Age of Camelot a shot! Killing a badger for a quest in a Battleground. 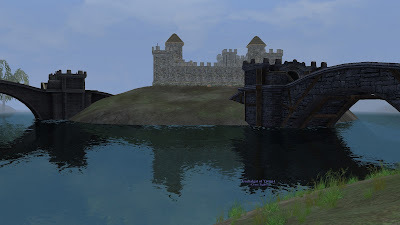 Dark Age of Camelot was released back in 2001 by Mythic Entertainment. They brought what was unique at the time, and still very unique 3 realm PvP game. The forces of Albion, Hibernia and Midgard battle for control of keeps and relics, located in a PvP designated area called the Frontier. The Frontier is a large region, consisting of 4 zones per realm, and a vast ocean separating all of them. Each zone contains PvE and PvP elements, sometimes cause PvP to become very interesting when you accidentally drag a bunch of aggressive monsters into the mix. Every zone, less the ocean, contains 1 or 2 Keeps that can be captured for your realm. Every Keep has outlying towers that be both used to help defend or captured and used to assault the Keep they are intended to protect. Walls can be destroyed, doors broken, and climbing points for stealth classes to help your forces breach the Keeps easier. Once inside, there is a secondary door defending what many in the game call the CK, or Center Keep. Once these doors are down, the brutal battle to climb to the Lords room begins. Upon reaching the Lords room, your teams must work quickly to kill any remaining defenders and defeating the Lord to claim the Keep as your realms. Keeps aren’t simply there to be captured to say we captured it. Capturing these Keeps does serve a purpose. Controlling Keeps benefits your realm in favor of awarding you more XP and money. Also, controlling certain Keeps will unlock a giant gate called the Relic Gate. This makes the enemies relic vulnerable and ready to capture. Capturing an enemies Relic further strengthens your forces, increasing magic or melee damage. These areas are more ideal for end game players of level 50. Don’t worry if you’re working on your grind to reach 50, there are alternative options for you. You can choose to level inside of PvP zones, ideal for your level, called Battlegrounds. There are multiple Battlegrounds and simply speaking with a teleporter will send you to the appropriate Battleground for your level. Here, you can begin seeing and learning how PvP works. Each Battleground has a Keep that be captured by any of the 3 realms at any time. The Battlegrounds serve as a training area to help you learn about PvP, learn yours and your enemies skills and help you level along the way. So if you’re looking for a new experience, something fresh, and something enjoyable, give Dark Age of Camelot a shot. This is Thalack with Phase4Games giving you a big thanks for taking a time to read this and I hope you enjoy your time regardless what game you choose to play.